The rain forecast for Thursday across Minnesota is not welcome news in some parts of the state — namely the areas of southwest and east-central Minnesota that have experienced major flooding this summer. Overall, the state isn't too much wetter than usual. But don't tell that to communities that have dealt with multiple historic rainstorms in recent years. 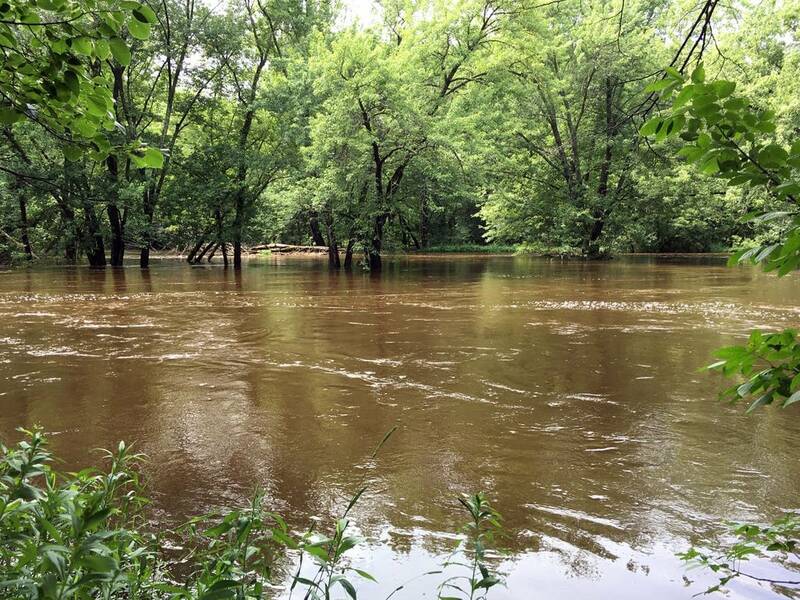 Two years ago, torrential rains caused the Snake River to overrun its banks in Kanabec County, about an hour and a half north of the Twin Cities. Then last week another huge storm — two years to the day after that earlier rainfall — caused flooding again in the same area, near the city of Mora. Kanabec County Sheriff Brian Smith said he never expected to be dealing with another flood so soon. "They told us this was like the 100-year flood," he said. "Well, that's two years ago. Apparently it's the new norm, unfortunately." Parts of southwestern Minnesota were also experiencing deja vu. 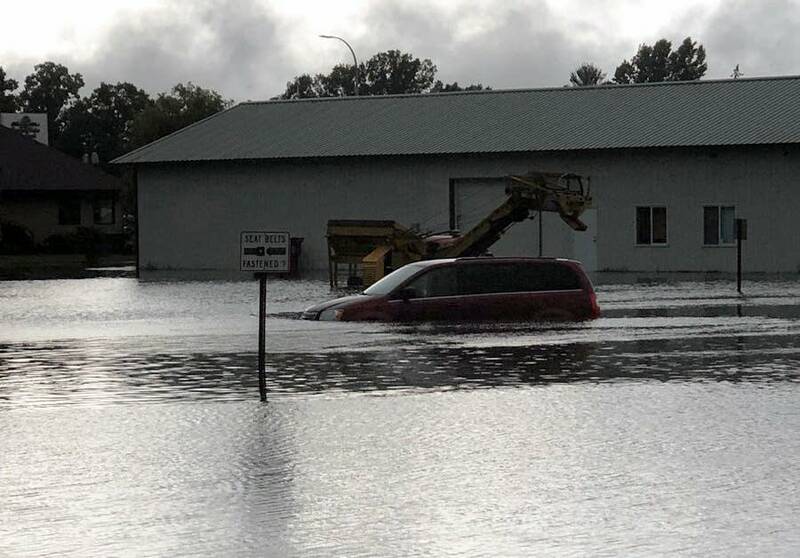 On July 3, heavy thunderstorms dropped more than 5 inches of rain in Redwood Falls and caused flash flooding there — less than a year after the same area was drenched with more than 8 inches of rain last August. According to state climatologist Kenny Blumenfeld, that was the biggest rainfall in the state last year. "And to get them again this year, you can imagine there'd be a bit of fatigue and quite a lot of head shaking," he said. Despite some big storms, Blumenfeld said, this summer has been wet but nothing unheard of. "For a majority of the state it's just been kind of what I would think of as a typically wet summer," he said. What does stand out in the data, he said, is the number of moderately heavy rainfalls this summer that have dropped an inch or so in a day. "Some parts of southern Minnesota have had 10 of those already," he said. "And if you think of a typical year in southern Minnesota, that might be all you'd expect for the entire year." And a lot of rains like that, together, can saturate the ground. So if a bigger rainfall comes, there's nowhere for that water to go. Which can result in flooding. Minnesotans should get used to summers like this. Blumenfeld said that when you look at all the data from around the state, Minnesota has become wetter and warmer in the last 30 years. "You can look at the top 10 combined warmest and wettest years on record, and I believe every single one of them is in the last three decades," he said. Two years ago, 2016, stands out as not the very warmest, and not the very wettest, but as the combined warmest and wettest year on record. And that's exactly what climate change models have predicted, Blumenfeld said. "There's more water vapor in the atmosphere because more water is being evaporated from the oceans as global temperatures rise, and that makes more fuel available for passing weather systems," he said. That doesn't mean there won't continue to be lots of variability, like droughts and cold spells. This is Minnesota, after all. But based on current science, Minnesotans in general can expect a warmer and wetter climate for the years and decades ahead. Speaking during a visit to Carlton County south of Duluth earlier this week to hear about flood damage, Gov. Mark Dayton quoted a senior citizen he had met: "After the second 100-year flood, he said, 'I know I'm old, but I'm not that old.'" "I think climate change is a reality and this is one manifestation of it," Dayton said. "And that's again why we need to be even more prepared and we need to have the resources to respond, and we need to look to see what can be done." Another elected official, state Sen. Tony Lourey, DFL-Kerrick, said he was concerned about the psychological effects of repeated heavy storms. "These are very traumatic events," he said. "It's not too much to call it PTSD, post-traumatic stress disorder. "Standing out there in these rain deluges ... you've never seen anything like it. I mean, this rain a couple of weeks ago, it felt like the world was coming to an end. I've lived here most of my life, and I've never been through anything like it." One silver lining to the storm clouds is that places like Carlton County have gotten better at compiling all the information needed to apply for disaster assistance. They'll put that skill to use Thursday when they meet with officials from FEMA. 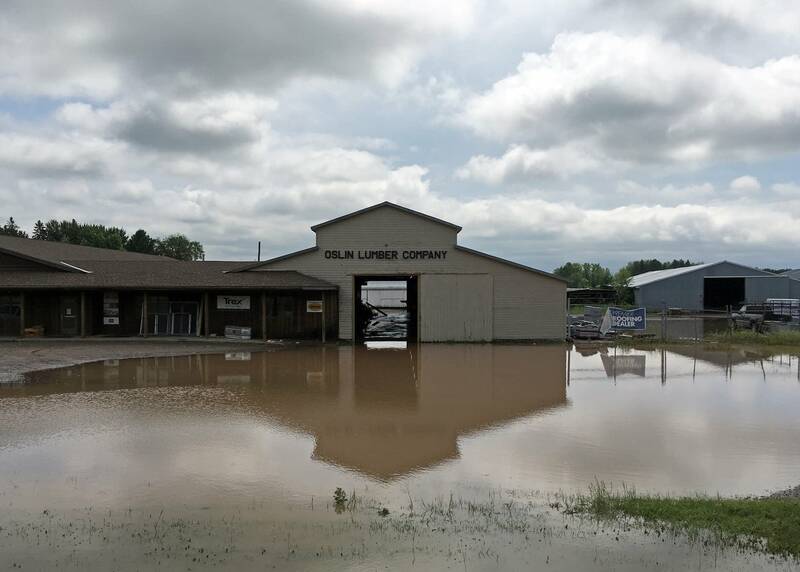 County officials are hoping for federal aid to help cover the more than $1 million in damage the flooding caused to roads and bridges.